Indicated for the protection of the inferior parts of vehicles (chassis, fenders and front and back bumpers) against the damage from rain, corrosive sea air, stone and dirt impact. This product minimizes noises when applied in internal portions of the doors, sides, hood, trunk and floor. When diluted, it may be applied as finishing on the suspension (front and back, and ion the external part of the monobloc chassis). This product was formulated to receive any type of automotive finishing without them presenting distortions in their tone. Sand and clean the surfaces using Maxi Rubber Degreasing Compound, eliminating traces of dust, oiliness, rust, and other impurities that may compromise the performance of the product. • In case of diluted applications, add 10% of water at max. • Prepare the surface and apply the Wash Primer Maxi Rubber for a good adhesion to non-ferrous metals and a better anticorrosive protection for ferrous metals. • Apply 2 or 3 crossed layers with an interval of 5 to 10 minutes between the painting of layers. • Apply with an automotive rubberizing paint sprayer. • Regulate the air pressure between 40 and 50 lbs/pol2. • Brush or spalter may also be used. Obs. : We recommend the use of a Maxi Rubber Universal Primer or Maxi Rubber PU Primer before applying the Rubberized Paint, so that its protection and adherence features be maintained. • Do not apply directly over the bare sheet. • It may be dyed with Xadrez powder or PVA tube, in order to facilitate the coating. 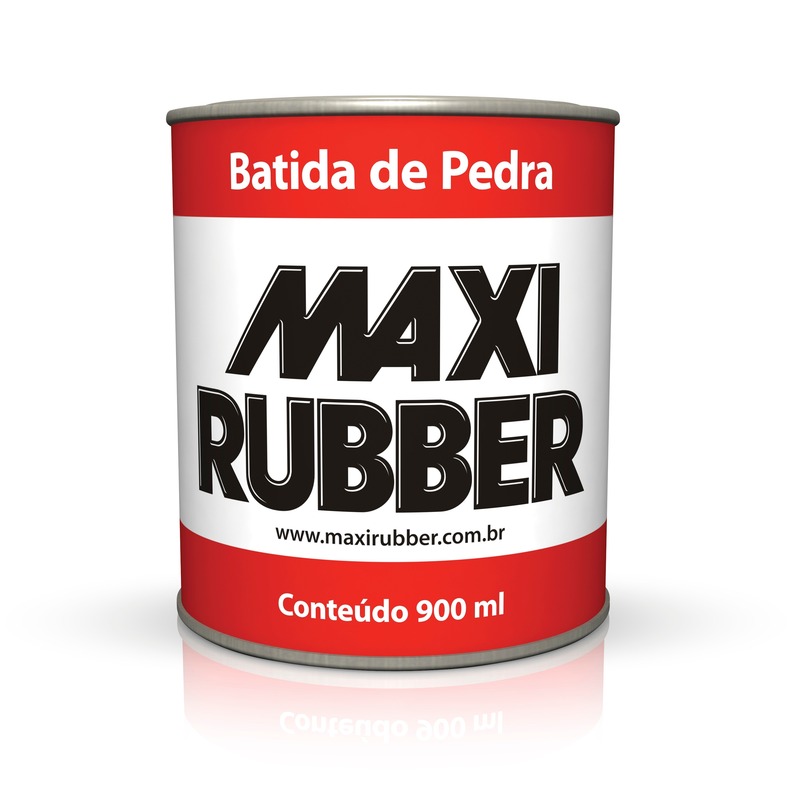 • Protect with Maxi Rubber Primer line and/or Wash Primer Maxi Rubber before the application. • The drying time may be longer than the one indicated above in high-humidity environments. • Use a specific sprayer to apply the rubberized paint. • Use water to clean the equipment. Acrylic resin, cellulosic thickener, pigments, mineral loads, miscellaneous solvents, water, and additives.